Who is better Ashley Cole or Leighton Baines? The left back spot for England has been one of those positions that in the last 10 years nobody has questioned who should play there. 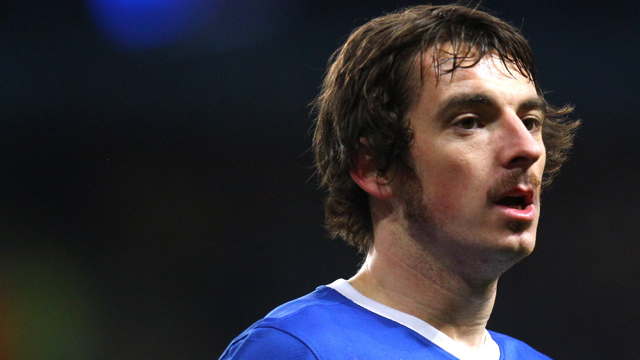 But in recent months in particular that has changed with the form of Leighton Baines who has arguably been the best left back in the country for a number of seasons now. However, the problem is he is behind Ashley Cole who even though he is now 32 is still one of the best and most consistent fullbacks in world football. This is the first time that Cole has faced serious competition since he became an England regular. There have been other players that have been included in England squads that can play in the position but to most people they weren’t good enough to replace Cole. By this I mean players like Wayne Bridge, Stephen Warnock, Nicky Shorey and more recently Kieran Gibbs. Two of these players, Bridge and Warnock now play in the Championship and unfortunately their careers have gone downhill very fast. Finally Leighton Baines is getting the credit he deserves and there is a very good chance he could become the top English left back. 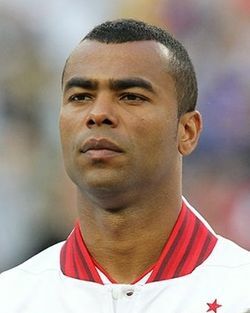 I am certainly not writing off Ashley Cole but I think that after he has won hiss 100th cap he may struggle to pick up many more caps from the starting line up after his recent outbursts against the FA. However, Roy Hodgson may not care about this and keep him as first choice at least until after the next World Cup. Not that this would be a bad thing as he is still a fantastic player both going forward and defensively. He may not get many goals or assists but he always makes himself available and lets the player in front of him cut inside and this has no doubt let Eden Hazard and Juan Mata be more creative in the middle of the pitch. Nobody would be annoyed or be against Cole being England’s left back for a few more years yet. However, if a change was to be made I don’t think anyone would be against Leighton Baines becoming England’s left back for the rest of qualifying and the next World Cup. The 28 year old has 13 caps so far and already has more goals than his rival for the position and if Hodgson wanted a different option for taking set pieces then Baines would be perfect to have on the pitch. This season he has six goals in 27 games and has been arguably one of the best players in the Premier League even though he may not get as many plaudits as he deserves. If he could replicate his partnership with someone at international level like he does at club level wit Steven Pienaar then it will be very profitable for England. His goal against West Brom just proved how clever he is and his composure on the ball is fantastic. Plus, he can also take penalties and everyone in the world knows how bad England are at them. So who would you choose? Chelsea remain top of the table after beating Norwich City and more and more people are now starting to accept that they are genuine title contenders. With their attacking intent, they will be a threat to anyone and I am sure the two Manchester club are now very worried. The rest of the top four is now starting to take normal shape with Manchester United and City in second and third but Everton are still clinging onto fourth place with Tottenham just behind them on goal difference. At the bottom of the table it isn’t looking great for QPR, Reading and Norwich who haven’t won a game yet. But, they will still be positive as Southampton and Aston Villa seem to be struggling at the minute. So, onto team of the weekend and in my opinion Manchester City deserve a lot of praise because they had to reshuffle their defence and were so comfortable against Sunderland it was unbelievable. They attacked well but more importantly they were solid at the back and kept their first clean sheet of the season so Roberto Mancini will be looking to build on this performance. They did exactly what was needed and didn’t give the away team a sniff, maybe it was a bad day for Sunderland because they never really looked like scoring but credit has to go to the two centre backs who probably haven’t played together that often in Micah Richards and Joleon Lescott. The other team from Manchester, performed brilliantly away to Newcastle United and deserved their comfortable victory and could have made it more if Danny Welbeck had his shooting boots on. But, in the first 15 minutes, I don’t think anyone could have lived with them, never mind an injury hit Newcastle defence. Everyone on the pitch played very well and they seemed to be enjoying their football and when they did come under pressure, they were strong enough to remain solid and not concede. However, there are still question marks over goalkeeper David De Gea who was poor again and almost cost them a goal. But, my team of the weekend is Arsenal, because they won a game a few years ago they certainly wouldn’t have away to West Ham. What makes it more special is that they came from 1-0 down and they even managed to control Andy Carroll for the majority of the game and often allowed him to win the first ball and just challenge for the second ball. The concentration of the back four was particularly impressive and when you have players like Lukas Podolski and Santi Cazorla you know they will create chances. Unfortunately, no Arsenal players have made it onto my contenders for player of the weekend but Cazorla was very close, however fellow Spaniard Juan Mata deserves a mention instead because yet again he was fantastic, as he has been all season. He hasn’t been getting the headlines because of Eden Hazard but he has been equally impressive and is one of the cleverest players in the Premier League right now and it is remarkable that Spain can’t find a place for him in their squad. He got another two assists to his name and he also very reliable on the ball and won’t try silly things and if there is an easy option on, he will use it. Aleksandar Kolarov, though was equally impressive as he scored a fantastic free kick and set up Sergio Aguero in the second half to put the game beyond doubt. He has improved defensively in recent months and everyone knows what he is capable of going forward so Gael Clichy might find it difficult to get back in the team. He is always a threat to the opposition and certainly is a useful asset to the team, especially at home. My player of the weekend though actually goes to a goalkeeper who wasn’t first choice at the start of the season but after his performance this weekend, he is guaranteed a place for a while to come. 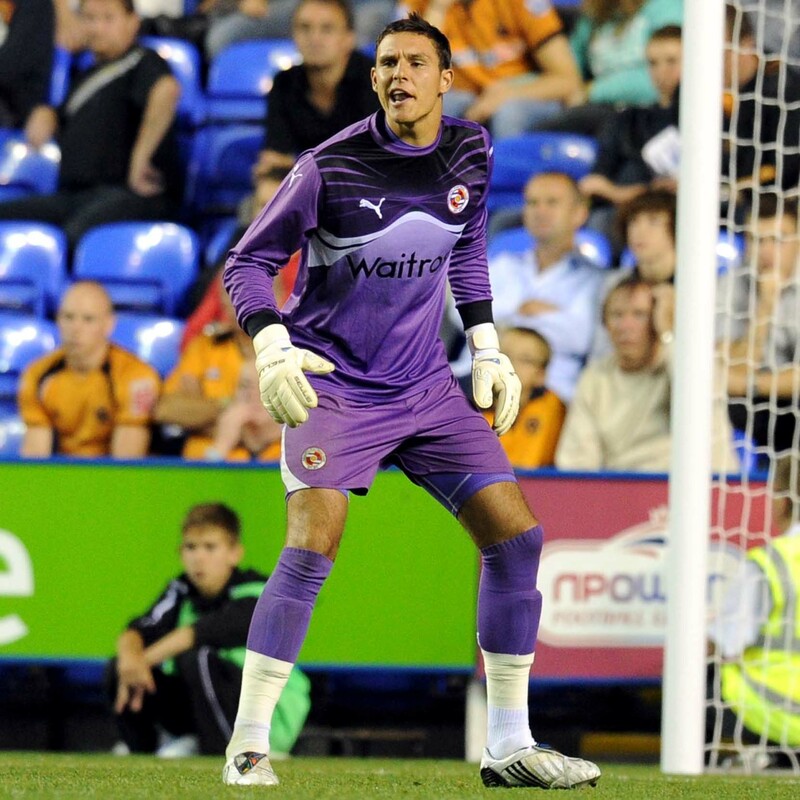 Reading’s Alex McCarthy, produced save after save to secure what could be a vital point against Swansea City. His team may have thrown away a two goal lead but he was sensational and if it wasn’t for him then they would have surely lost the game. If they stay up by one point at the end of the season, I think Brian McDermott and the fans will look back at this performance and just realise how good of a performance it was. To pick up points away from home in the Premier League, you need special performances, and this was certainly one of them. 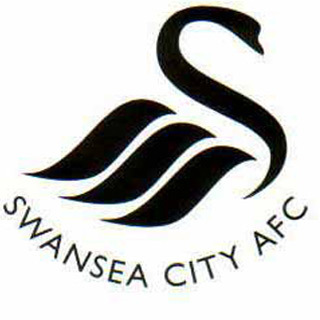 Onto, game of the weekend and obviously that Swansea Reading game will be high up the list as there were so many chances and both teams will be thinking that they should have an extra two points on their current tally. After Swansea came from two down, I expected them to win but as said Alex McCarthy was inspired form and couldn’t be beaten again. Reading will be the most worried though because they just can’t seem to get that first win and if they had held on last week against Newcastle then they probably would have seen this out too but that first win is usually the hardest. QPR, similarly need that first win and they put in a good performance away to West Brom but unfortunately, the surprise package of the Premier League so far were even better and the game went right down to the last minute and this could have also ended a draw after one of the sides were 2-0 up but it wasn’t to be and West Brom held on for a 3-2 win. The game of the weekend for me was actually West Ham against Arsenal because it was two very different styles playing against each other and just showed what English football is all about. Arsenal were sublime until West Ham somehow took the lead and from there it could have went either way and Arsenal just had enough on the day and finished off the game with a fantastic goal. Both managers know how they want to play and for that reason, the game was action packed and there were plenty of counter attacks leading to chances and all of the goals had a lot of quality about them. The top two in the Premier League so far is expected with Chelsea and Manchester United leading the race for the title but directly below them Everton and West Brom are having fantastic starts to the season and not many would have expected them to have been in the Champions League places after five games. At the other end of the table, there are six teams still to register a win and the most worried out of them will surely be QPR and Reading who are currently in the relegation zone. Liverpool are the other team in the relegation zone and all of them will be thankful that Norwich City also haven’t picked up a win yet. I have already mentioned them but they don’t usually have a great start to the season and that is why it is so remarkable that Everton are third in the table and will surely finish in a European place because they usually leave their unbeaten runs just too late in the season to have an effect on them positions. Yet again, they produced a fantastic display against Swansea City and brushed them aside with ease, all of their attacking players were on form and Kevin Mirallas has fit straight into the David Moyes way of playing football and even added a goal to his good performance. Victor Anichebe has now got two goals in two games and he will have a lot of confidence and maybe they won’t miss Nikica Jelavic as much as they thought they would. 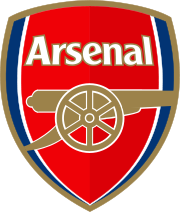 Another team that are performing well in areas we don’t normally expect is Arsenal because at the back they have been superb and followed it up with another good performance away to Manchester City. I will still give them a lot of praise even though the goal they conceded was an error because in years gone by they definitely would have lost this game and went home with nothing. They also created chances and if their finishing and final touch was better, in particular Gervinho, they could have got all three points. But, the winner of team of the week has to be Southampton. After finding themselves 1-0 down their fans must have thought that their time in the Premier League was going to be very short indeed but they didn’t get on the players or their managers back and they got to see their side come from behind and beat Aston Villa. Two goals from Rickie Lambert, an own goal from Ciaran Clark and a tidy finish from Nathaniel Clyne gave them exactly what they deserved and that was all three points. If they can replicate this sort of form then they may be able to stay up this year but they will need their fans on their side and the rumours of Nigel Adkins being replaced need to go away or it could cause some uncertainty among the players. Hugo Rodallega may have came back to haunt his old club Wigan Athletic but it is his strike partner Dimitar Berbatov that is a contender for player of the week in my mind because he has shown that he can perform just as well away from home as he does at Craven Cottage. This is what he often gets criticised for but against Wigan he did everything that was asked of him, he held the ball up well and brought teammates into play. His movement was also very good and the Wigan defence weren’t ever sure on who has supposed to be picking him up, and his cross for the first goal was superb so it was a very good day for the Bulgarian. Marouane Fellaini is another player that is proving he is worth every penny his club paid for him. In yet another outstanding performance he goes about his business so effectively, joining up with the front man and getting beyond him whenever he can. He is a lot better in the advanced role where he is playing now and like Yaya Toure at Manchester City he can make the difference in the final third. Another goal was added to his tally this weekend with a powerful header that left Michel Vorm with no chance. 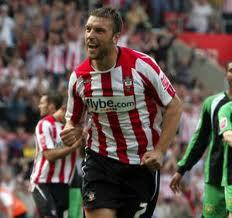 However, the man that is getting player of the week is none other than Southampton’s goal scoring hero Rickie Lambert. There were question marks raised on whether he will be able to score goals at the highest level but against Aston Villa he proved he not only knows where the goals is but can set up chances for his team to score. A lot of people just think that Lambert is a big target man but he is much more than that, he likes to drift out wide and get involved in the play dragging defenders away with him so there is more space for midfielders to run into and I’m sure Gaston Ramirez in particular will make the most of that. 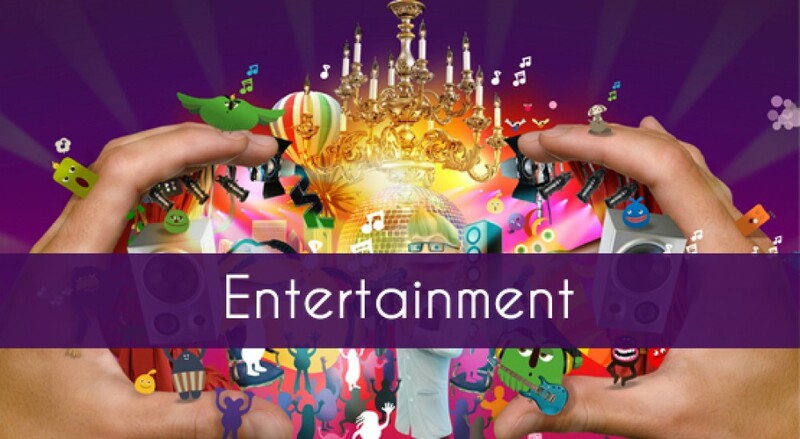 Game of the weekend can be a little difficult because some of the bigger games get a lot more attention and don’t really end up being that exciting. But, in my opinion the Liverpool Manchester United game was decent enough with both teams having chances to win the game towards the end. The home side were probably just the better team and will feel a little annoyed that they didn’t get anything from the game, but maybe they just couldn’t push themselves anymore after playing a lot of the game with only 10 men after Jonjo Shelvey was sent off. There were some good goals in the game with Steven Gerrard reminding us all that he can still be a threat going forward and Rafael scoring a goal that some of the Old Trafford greats would have been proud of. The winner did come from the penalty spot after Glen Johnson clumsily fouled Antonio Valencia which makes you wonder how he is England’s first choice right back but that discussion is for another time. Another game that was really entertaining, but a lot more one sided was West Ham versus Sunderland. Steven Fletcher gave the away side the lead and that is basically all they did and had to withhold heavy pressure for a lot of the game, eventually leading to a late goal from one of their arch nemesis, Kevin Nolan. Nolan must love playing against Sunderland as he always seems to score past them and with him being a former Newcastle United player, it must have been extra sweet for him. Game of the weekend, however goes to the Swansea Everton match as it was a really enjoyable game and was played in a very different way to how I expected it. Everton controlled most of the game and Swansea struggled for large periods but they even create some chances that they should have done better with. Everton are getting better and better while Swansea are beginning to slip could this be the game that sends the clubs in two very different directions? Was there anyone that impressed you? Who would you give the team, player and game of the weekend award to? Arsenal continued their great defensive start to the season with yet another clean sheet at Anfield which has left Liverpool in the bottom three along with pointless Southampton and QPR. There are still eight teams without a victory though so none of the teams should be worried at this stage. Somewhat surprisingly Tottenham Hotspur are one of these teams and after two draws in a row is the pressure already building on Andre Villas Boas? Aston Villa picked up their first points with a draw against Newcastle United which will make Paul Lambert feel a lot better and Stoke City picked up their third draw out of three so it is looking like it could be another midtable finish for them already. But, now onto team of the weekend, Arsenal deserve great credit for the way they conducted themselves at Liverpool and were the better team throughout, creating the better chances and finishing them off superbly, while also being very tight at the back and not allowing their oppositions flair players to have a major impact on the game which has not always been the case in the past. Norwich City picking up a point at White Hart Lane is a fantastic achievement (they did win there last year I know) but they are expected to struggle a lot this year and hadn’t shown enough to suggest that they were going to be as good as last season. But, they battled and probably should have won the game in all honesty so they deserve a lot of praise and if they can perform like this for the rest of the season they will stay up. Newly promoted West Ham are not expected to struggle this year but not many will have expected them to have disposed of a confident Fulham side so easily. Debutant Andy Carroll looked very happy and within a minute he had a positive impact and the team never looked like losing from there. 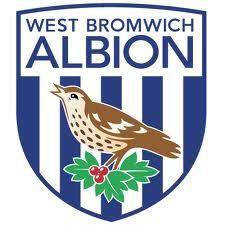 However, my team of the week has to be West Brom, they have started their season fantastically and their performance against an inform Everton was very good. I personally didn’t expect the Baggies to start this well and they know it is only three games in but they already have seven points on the board so this could be an interesting season for them. There were some standout performers this weekend with Robin Van Persie scoring a hatrick but unfortunately for him, even though he did win the match for Manchester United against Southampton, I am not giving him the player of the weekend simply because of his awful penalty. His movement was great and all three of his goals were different and showed how good of a striker he is (if that was ever in doubt). Another new signing impressed this weekend and that was Steven Fletcher who scored twice for Sunderland against Swansea City and although his first was gifted to him he still had to finish it and that wasn’t easy at all. The price Sunderland paid for him may have been slightly over the top but if he can get them between 15 and 20 goals then it could turn out to be one of the best signings of the season. My player of the weekend goes to Brad Friedel who must have been feeling the pressure after Hugo Lloris was signed on transfer deadline day but the 41 year old produced the goods and kept Tottenham in the game, pulling off save after save including two spectacular ones. He couldn’t do anything about the goal and it would be a real shame if he was dropped after this performance. Finally, game of the weekend is a difficult one to choose as always because the game at the Liberty Stadium between Swansea and Sunderland had everything, including goals, red cards, mistakes and injuries. Sunderland took the lead twice through two Steven Fletcher goals but were pegged back each time with Wayne Routledge and Michu grabbing the goals for the Swans. Chico was sent off for a ridiculous challenge on Louis Saha and was rightly sent off. It was a fiery game and a draw was probably the right result in the end. Wigan against Stoke may not have been a game that caught many people’s attentions but in my opinion it was really entertaining and had a lot of drama in it, with two converted penalties and a lot of chances for either side with Franco Di Santo and Peter Crouch also scoring to make it 2-2. Plus, the save of the season from Ali Al Habsi made it a very fascinating game to watch. But, the match of the weekend has to go to Southampton and Manchester United because they produced an epic game which could have went either way. The away side pinched in injury time but it could have been very different. 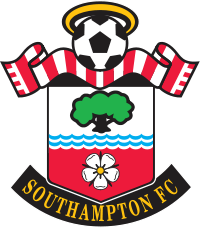 Rickie Lambert opened the scoring but when Van Persie scored his first everyone expected it to be a rout and Fergie’s men to walk it but a slip from Patrice Evra allowed Morgan Schneiderlin to get free and put the Saints back in front. But the runners up from last season never lie down and came back to win like they have done on so many occasions over the years. Who do you think should have got the player, game and team of the weekend? 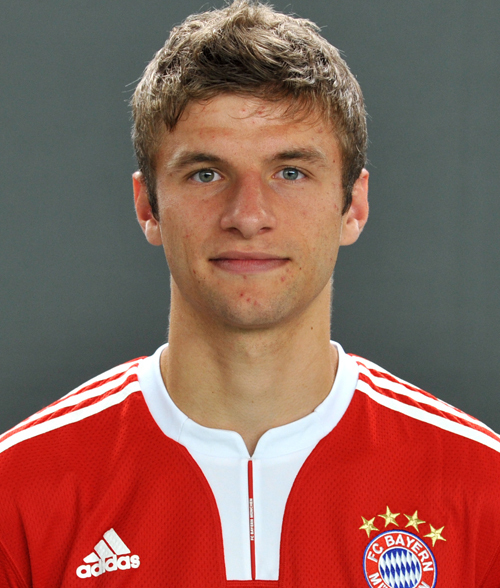 Will Thomas Muller join a Premier League club this summer? Thomas Muller scored in the Champions League final for Bayern Munich but he may be on his way out of the club this summer. Last season he spent a lot of time on the bench and it would seem that the 22 year old wants to be guaranteed first team football. He did actually play 53 games last season which is the most in his career but a lot of them were from the bench and he does have the ability and the talent to be a regular in a lot of sides all around Europe. He did still however manage to score 11 goals and play a major part in Germany’s Euro 2012 campaign in particular the qualifiers where he started all 10 games and contributed seven assists. Muller’s versatility works for him and against him because he can play in any of the forward roles which means he is always there in case of injuries but whenever everyone if fit he is put back on the bench just in case someone isn’t having an effective game or is struggling with an injury. But his main strength is his composure as he never looks fazed and if he is given an opportunity to score he will usually take it. So would he be interested in a move to the Premier League and which teams would he realistically sign for? Tottenham Hotspur are the first team that spring to mind as they are in desperate need of a striker with Jermain Defoe being the only experienced striker at the club and it is not clear whether he will stay either. Muller would fit perfectly into their side with him able to capitalise on the through balls from Rafael Van Der Vaart and the crosses of Gareth Bale, I am sure he would score plenty of goals in England. Another team linked with a move is Manchester City who will be linked with any player that becomes available and has proved to be a good player for their club. But, I could see them going for the German international because it looks like they may lose out on Robin Van Persie. With them interest in him it suggests to me that they are in the market for a new striker and Muller would fit the bill as he can play in a front two or three and will do a job out wide for them. If Edin Dzeko leaves I think he would be a perfect replacement. The team that he scored against in that Champions League final, Chelsea have also been linked with a move for him and even though they have spent a lot of money so far this summer they haven’t really invested in their strike force and after losing Didier Drogba they will need some reinforcements for the currently inconsistent Fernando Torres. Daniel Sturridge is still at the club but he probably didn’t play as much as he would have hoped after Roberto Di Matteo took over so he will be hoping for more starts this year. But the new manager may look elsewhere and Muller could be a good signing for them and with Romelu Lukaku joining West Brom on loan they definitely need a new striker at least for backup. Who will Peter Lovenkrands sign for? Peter Lovenkrands is looking for a new club after being released by Newcastle United and will be hoping to stay in the Premier League. The Geordies loved Lovenkrands and he obviously enjoyed playing in front of them and leaves the club with a heavy heart as he has given them a lot over the years he has been there and nobody can ever question his loyalty. The Danish striker was very important to the team especially in the Championship where he scored 16 goals in all competitions and was a very effective partner for Andy Carroll. One of his goals that will probably be remembered most was the one against West Brom in a 2-2 draw as he had just returned from Denmark after hearing the about the death of his father. The celebration will live long in my memory and I’m sure most people in the stadium will not forget it as you could see how much it meant to him to score for his father. His chances in the Premier League were limited but he will always be considered a fans favourite in my opinion. So where will he go next? Does he still have a future in the Premier League? Personally, I don’t think he is still good enough for the Premier League however with Chris Hughton just getting the job at Norwich City he may just get another chance. Hughton got the best out of him at Newcastle and they obviously had a very good relationship during their time on Tyneside. Lovenkrands would be a different option for them to Grant Holt and Steve Morison and has more experience than Simeon Jackson in the Premier League. Plus, Grant Holt doesn’t seem happy at the minute so he could be on his way this summer. I think he would be a decent addition to the squad but he doesn’t quite fit into their usual transfer targets however Paul Lambert is no longer the manager so they may go in a different direction. Another option for him could be Southampton as they do not have much Premier League experience in their strike force. He could prove to be a good partner for Rickie Lambert who is a big striker and likes to hold up the ball for people to run off him. One thing Lovenkrands still has, is his movement and he will get himself into good positions and with Southampton having some very good playmakers in their squad like Adam Lallana, he could be just what they need. They do have Billy Sharp but I am unsure whether he will be able to score enough goals in the Premier League. Finally, Aston Villa may also be interested in his services as they struggled to score goals last season and they didn’t have enough options after Darren Bent got injured with Gabriel Agbonlahor playing a lot out wide under Alex McLeish. The only thing that may make this move not work out is that new manager Paul Lambert would rather go for a younger player and they will be the favourites to sign Holt if he does get the chance to leave Norwich. However, he is a free transfer and this should work in his advantage, I really hope Lovenkrands gets a new club and I’m sure if he gets to play against Newcastle the crowd will give him a fantastic reception as they appreciate all that he has done for the club. 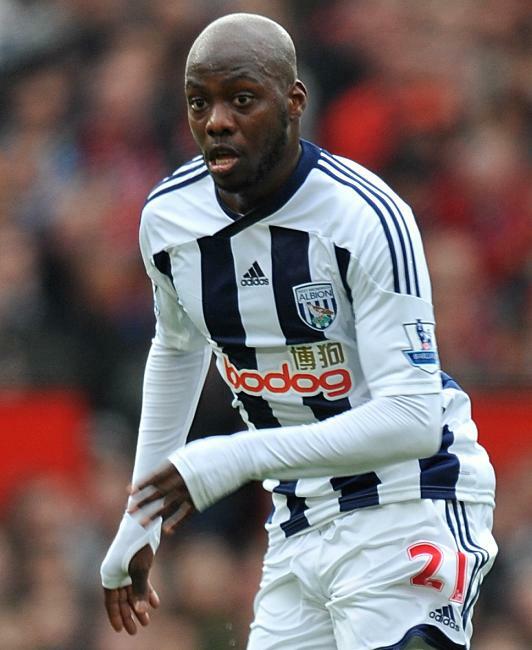 Who will Youssouf Mulumbu sign for? Youssouf Mulumbu has been linked with many clubs this summer and it seems as though his time at West Brom is coming to an end. The midfielder has been impressive since joining the Baggies and has helped them cement their place in the Premier League over the last couple of seasons with his battling displays. He is a very combative midfielder that likes to put in a tackle, but he can also play a bit as well, Mulumbu chips in with the odd goal and can make good late runs into the box to support the strikers. The 25 year old has been at West Brom since 2009 and was very influential in getting them promoted back to the Premier League when they finished runners up to Newcastle United. If he does leave this summer he will no doubt be fondly remembered by the fans mostly because of his 100% commitment to the club while on the pitch but also because he scored the winner in a game against Aston Villa, which was their first victory over them since 1985. Mulumbu has claimed he has spoken to a number of clubs already but who will want him and is he good enough to make it into the starting 11 of one of the top teams? In my opinion, he may be able to do it as he has shown enough progress already in the Premier League and the fact he is only 25, he will get better. The first team I believe he could be good for is Arsenal as they always seem to be missing a strong central midfielder and have never been able to replace Patrick Vieira. They do currently have Alex Song but he is not a proper holding midfielder and likes to get forward a lot, he has been described before as the most attacking holding midfielder in the world. If they can bring in Mulumbu it would allow Song to get forward more and he showed time and time again this season that he can provide killer passes and set up a lot of goals. London rivals Tottenham Hotspur have also been linked with him but I do not see this as likely as Arsenal because they already have Scott Parker and Luka Modric to play in the centre of their midfield so he would find it tough to become a first team regular. However, Modric is linked with a move away and if he goes they will need to replace him and both Modric and Mulumbu only get about the same number of goals a season so they would not lose anything in that respect. Finally, Newcastle United could be interested in him as they have already lost one central midfielder this summer in Danny Guthrie and will need a new one. He may not get a first team slot straight away but he will still rack up the appearances as the season goes on. Another reason why I think he could fit in at Newcastle is that he is what they are now looking for in the transfer market. Someone that is quite cheap and if they do well, their price tag will rise and with Mulumbu only being 25 he could be at the club for a few years and then leave for a lot more than they signed him for. There are already a lot of reports saying he is in talks with Newcastle so this one seems the most likely at the minute. Who will Nigel Reo-Coker sign for? 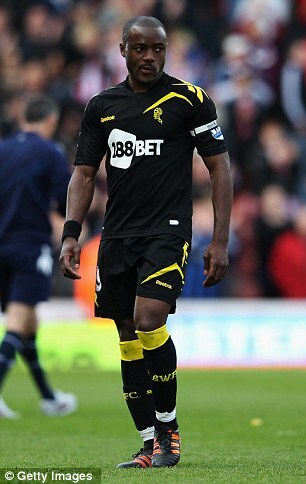 Nigel Reo-Coker is looking for a new club this summer after Bolton Wanderers were relegated from the Premier League. Bolton were unable to stay up on the last day and now they must worry that a lot of their star players including Reo-Coker will leave the club either on a free or for a small fee. Midfielder Reo-Coker had a good season in my opinion and was one of their better, more consistent players throughout the season and he will be difficult to replace. He scored three times in the league for the club from his 37 games. It was not his goal scoring that was impressive though, it was the way he got about the pitch and made a lot of challenges and caused the opposition to give the ball away, the former Aston Villa man is also a player that keeps it very simple which is vital in any team and also this allowed his midfield partner Mark Davies to get forward more. 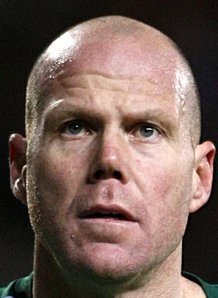 It was also not surprising to see him captain the side on a few occasions while Kevin Davies was injured or on the bench as had previously captained West Ham at a very young age and is a good leader and whenever he gets on the pitch you can see how committed he is and how much he wants to succeed. So who could he sign for and make an impact for them? In my opinion he is too good for the Championship and possibly even a team that is going to battle against relegation. However, I do not think he is quite good enough for one of the very top teams so he will have to go to a club that is in mid table or challenging for the European places. The first team I think should be interested in him is Newcastle United as they are in need of squad depth this year, with them competing in Europe already and the confirmation of Danny Guthrie leaving means they will need a new central midfielder. We all know that Mike Ashley tries to find the cheapest option as possible but I wouldn’t just see this signing as that. As long as Cheick Tiote and Yohan Cabaye don’t leave then I think Reo-Coker would be a very good signing and when the games start to catch up on these two, I’m sure he would not let anyone down and the fans would take to him, as he always puts in 100% effort. However, I do think rivals Sunderland will be after his signing as at times they have looked a little inconsistent in the middle of the park with Craig Gardner only showing his talent every now and again and Jack Colback only being a young player, he will not be able to perform for a full season. Obviously, Lee Cattermole is first choice but he struggled at times with his discipline and will pick up bookings so in my opinion they do need a few more options in that area. Finally, West Brom should take a look at him as it looks more and more likely that they are going to lose Youssuf Mulumbu this summer so will need someone in their midfield that is strong in the tackle and can also grab the odd goal. They are quite similar players so I don’t think they would be losing anything in their team if they signed Reo-Coker as a replacement. The ex England under 21 player is a free transfer so I expect a lot of interest in him so clubs should try and snap him up as quickly as possible. He has been linked with moves abroad but I think he would prefer to stay in England as his style of football fits the Premier League the best. He could be one of the best signings this summer if he performs to the best of his abilities at his new club. 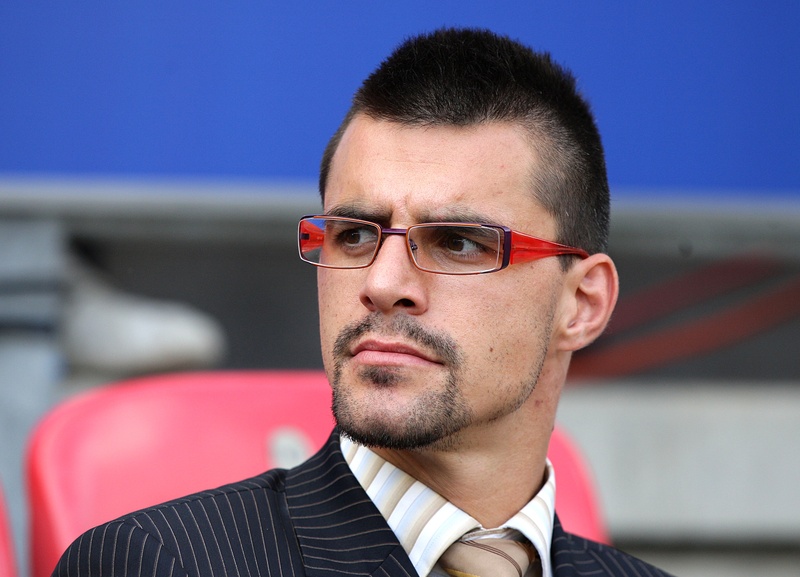 Who will Paul Scharner play for next season? Paul Scharner could be leaving West Brom this summer and would like to play in the Premier League next season. It is not 100% confirmed that he will leave the club at present and if he does stay the new manager may want him to be a key member of the squad which would obviously convince him to sign a new contract. He can be valuable to the squad as he is a versatile player and has got quite a lot of experience in the Premier League now which is very vital especially for teams in the bottom half of the table so they don’t get sucked into a relegation battle. Scharner has played 61 league games for the Baggies and scored seven goals but unfortunately could not trigger a clause in his contract that would give him an automatic new 12 month contract because he did not play enough games in the season just gone. But looking to the future, he may leave the club because he may want a longer contract and may feel that it is time to move on as he hasn’t been used as much as he would have liked this year. He is coming towards the end of his career and will want to finish it by playing a lot of games and contributing regularly. So who would need him and who would want him? Personally, I think he could do a good job at any of the newly promoted clubs. Reading have quite a young team and his experience in the middle of the park or even in the centre of defence could make the difference between them staying up and going down. With Jem Karacan also being injured, they may need another midfielder in there just to boost their options. Southampton are in a similar position and he would pass on useful tips to their younger players like Adam Lallana and Jack Cork who will certainly benefit from his experience. West Ham have the experience but maybe not a player as much quality, in my opinion he is a lot better centre back than Winston Reid and Abdoulaye Faye and would slot in alongside James Tomkins. He would be a good talker and would even improve Tomkins as a player, Tomkins has a lot of potential and has played alongside some good centre backs, and another one in Scharner would only help him develop further. A rumour I heard was that Newcastle United were interested in him. This would be a strange one although it could possibly true as they will be playing a lot of games next season with them qualifying for the Europa League so will need more options. Added to the fact that Danny Guthrie has yet to sign a new contract with the club, he may be a good choice especially as he would be a free transfer and could easily slot into the team. The fact he can also play centre back also adds to appeal. However, I can’t see this happening as he doesn’t fit into Newcastle United’s policy of buying young and developing them, plus they may be looking for a slightly better standard. So would your team be interested in signing him? Or is he going to drop into the Championship or go abroad?